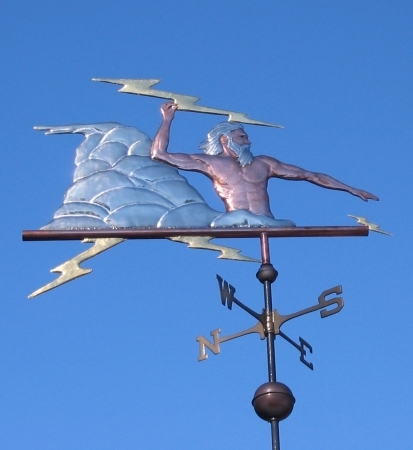 Our Zeus Weathervane is one of my personal favorites. 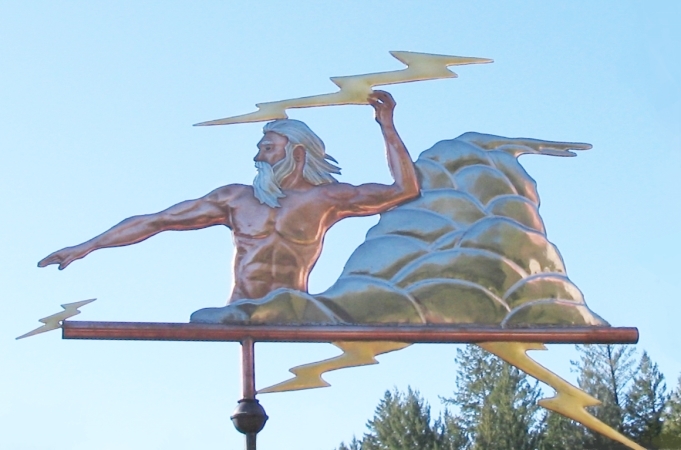 Someday, I hope to have the time to make one of these weathervanes for our personal collection. 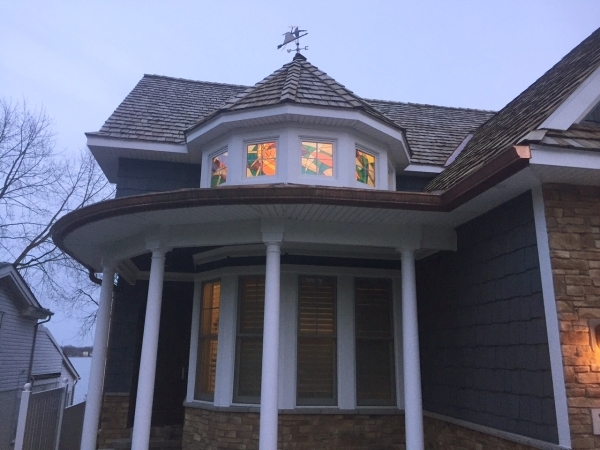 It was originally commissioned by a customer from Massachusetts to go on top of his boat house. 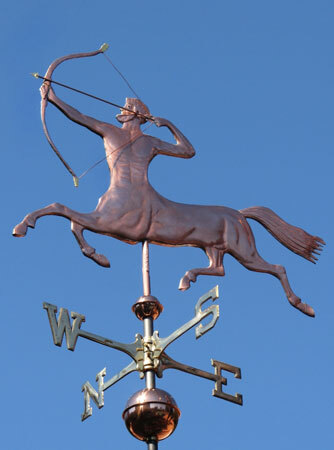 He specified that his weather vane be constructed from copper with optional nickel silver, gold leaf and palladium leaf. 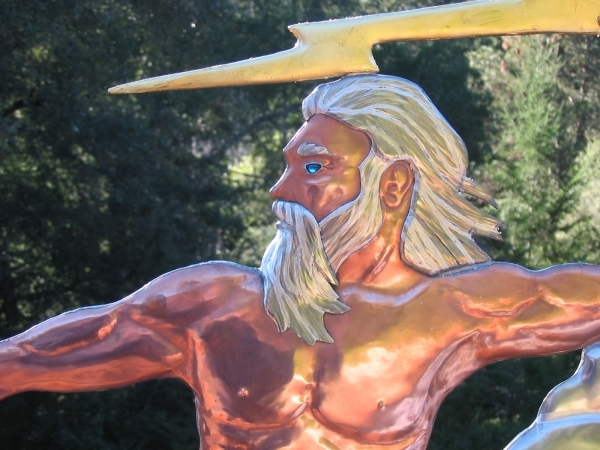 Zeus’s body is fabricated in copper. 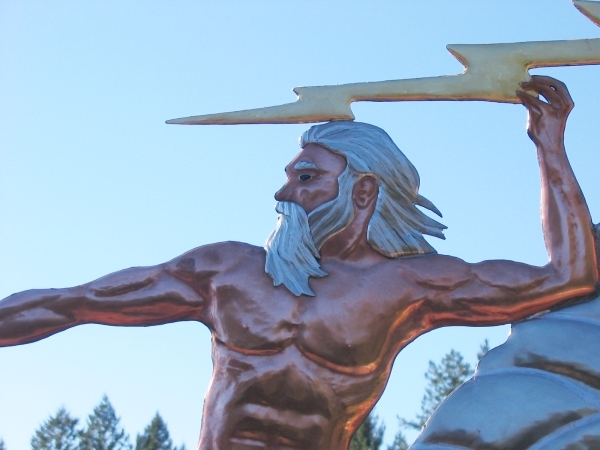 His beard, hair, eyebrows and the thunderclouds are nickel silver. 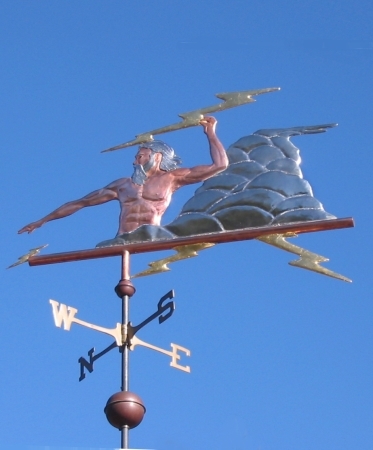 There are palladium leaf streaks in his hair and articulating each billowing cloud. 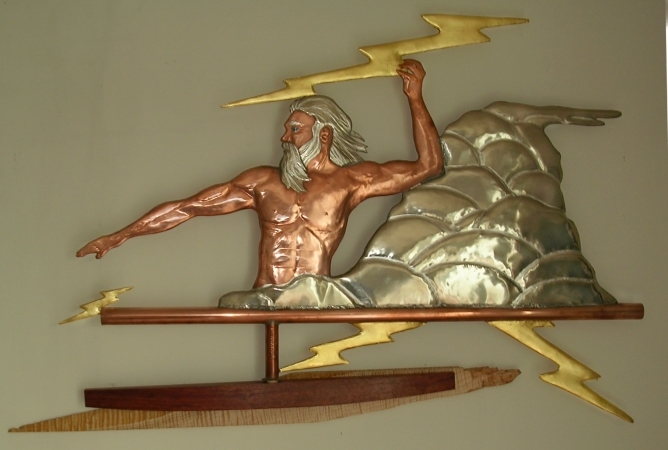 We also gilded the thunderbolts. His glass eyes are aqua colored translucent jewels. 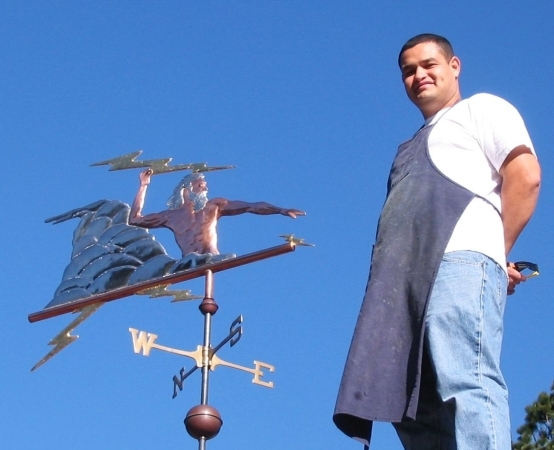 Weathervanes based on Greek and Roman mythology are among our most spectacular designs. 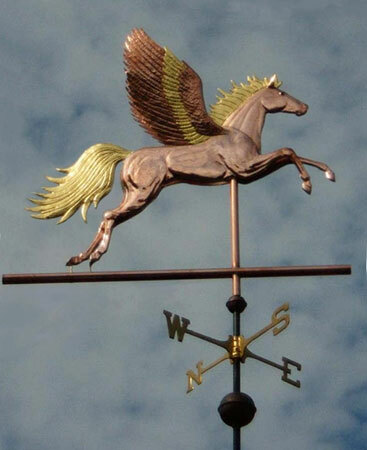 In addition to Zeus, we also offer a Poseidon (Neptune) Weathervane, two Centaurs, Nike, the Winged Victory, Cupid (also known as Eros), and a Trojan Warrior weathervane, to name but a few. 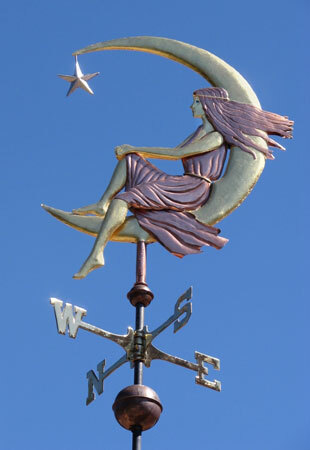 In addition to Zeus (Jupiter), the panoply of gods and goddesses contain a number of other figures who would make impressive weathervanes. 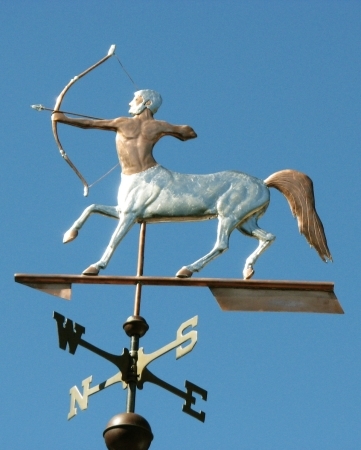 We would love to make weathervanes based on Diana The Huntress, Mars (Ares), the God of War, Apollo (in his Helios manifestation) drawing his sun chariot across the heavens, and even Vulcan, the God of Fire and the Forge. 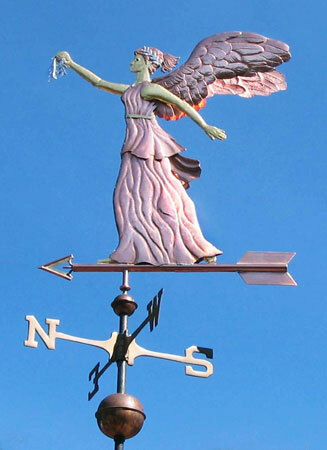 If anyone reading this is interested in commissioning one of these designs, I would be more than happy to waive our standard design fee, as along as we would have permission to make additional versions for others in the future. 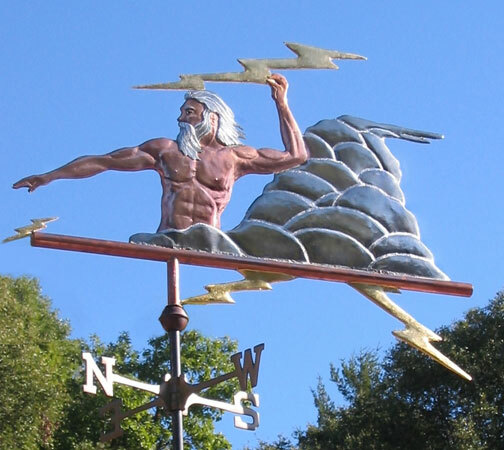 Please call if you have thoughts or questions about our Zeus Weathervane or any other possible Greek or Roman mythological figures. 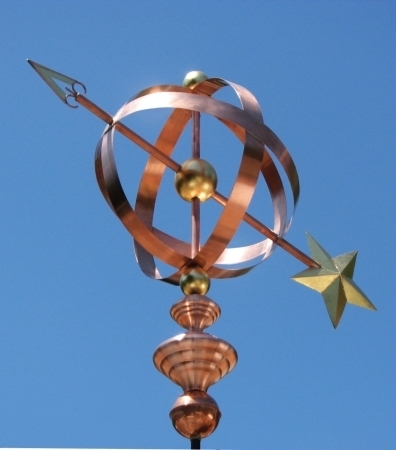 It would be a pleasure to talk to you about your project!